Whatever kind of adventure you’re into, it’s often necessary to drive out to a starting point. Why not make that commute an adventure as well? Ural riders from all over have done this by making their own modifications to attach surfboards, kayaks, skis, or in this case, bicycles. The guys at Good Spark Garage decided to make their trip to the trails as much fun as riding mountain bikes. 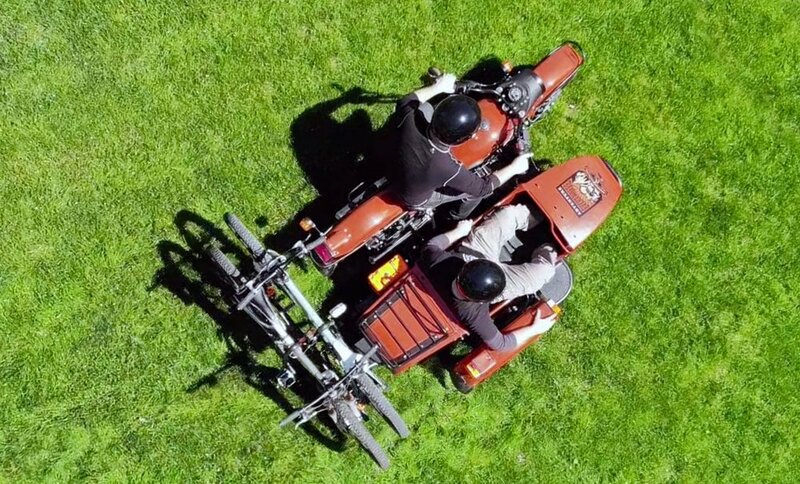 They fabricated and secured a hitch mount that doesn’t permanently attach to the cT's sidecar chassis and firmly holds their bike rack in place. The trunk still opens to store their helmets and tools. Have an adventure on the way to your adventure! What adventures do you find yourself driving to that could be made even more memorable if you traveled by sidecar? Imagine the looks on the faces of your fellow enthusiasts when you arrive on a Ural, packed with your equipment. 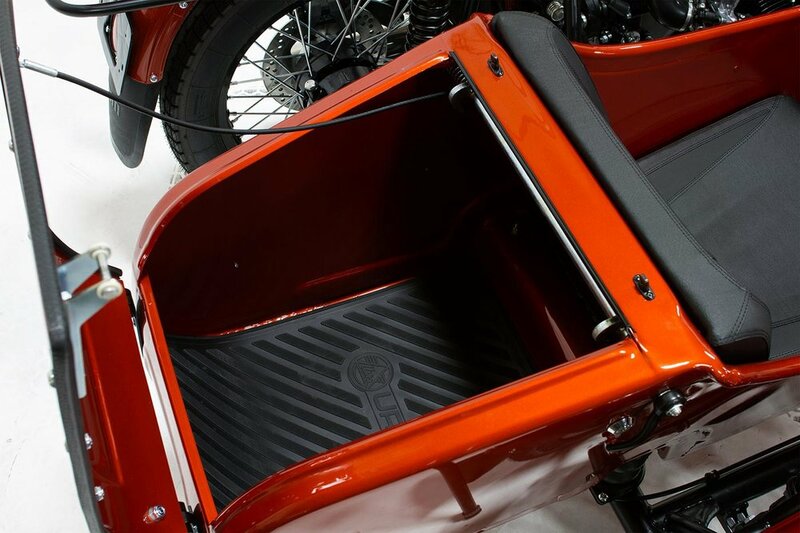 There’s plenty of storage with the ample trunk space and available steel for various mounts. Plus, it just looks cool in the parking lot. Folks who like the outdoors appreciate the Ural because of its adventure-ready design. It allows fresh-air fiends to be out in the elements before and after their ride, hike, run, climb, game, swim, etc. Folks who like the outdoors appreciate the Ural because of its adventure-ready design. Learn more about the sidecar featured in this story or compare models to see which fits your lifestyle best.